Ever since my initiation to the realm of watch-making, I’ve never been quite as thrilled in many things apart from it. My father’s prodigious knowledge and understanding of the quintessential aspects of chronometry had given me the safe-zone, from which I grew as a watchmaker myself. One of the most striking aspects of chronometry that had always intrigued me to no end is a minimalist design that retains all its classic features. And one such brand that has been exceptionally successful in achieving this challenging feat is the Bering watch brand. And rightly so, the brand is now recognized as a specialist in crafting stunning Danish minimalist designs that even rival classic forms! Today, I’ll be introducing you to the brand that has gradually taken off into the competition by its sheer dint of brilliant craftsmanship. 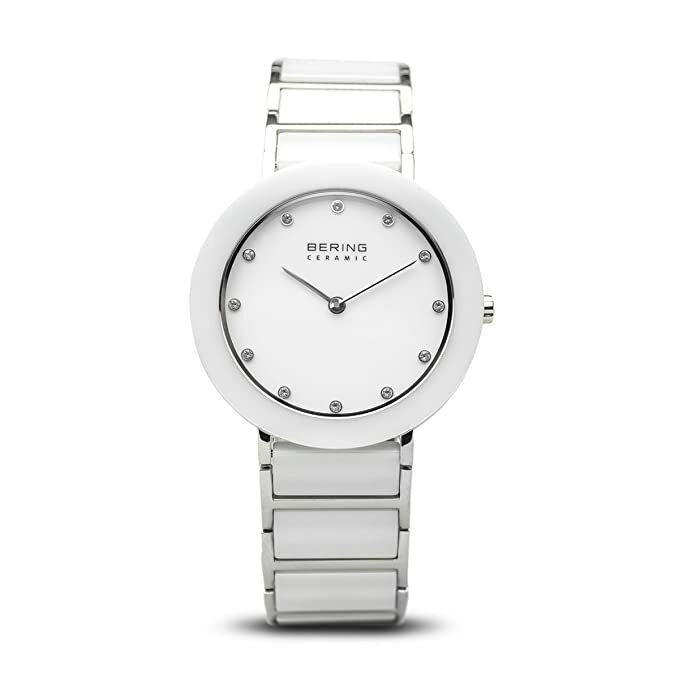 Bering watches are quite notorious for their modern and sleek style. However, even though steeped in modern influences, this watch company was still able to hold on to a lot of their roots and traditions, thereby making their models very minimalist in appeal. The company was initially founded on one particular idea (which was surprising given birth in the Arctics), and that was to keep the watch design as simple, subtly and attractive as possible. But even with simplicity on the forefront, Bering did not compromise on quality when it came to physically realizing their timepiece designs. The company has extensively mastered the art of using top-notch materials such as surgical stainless steel, sapphire, and titanium to present some mind-blowing designs. And it has even gone as far as using the highly sought after ceramic to make models that can capture the heart at first sight. Some of the women’s models have Swarovski crystals on the face as well, giving the brand the all-coveted winning streak! And this attention to detail and quality is something that I absolutely adore about this company. I first came across the brand when I was checking out reviews on recent launches. I’m currently pretty acquainted with three models from the brand up-close and personal. Apart from the one that I had bought for myself, I had given one to my wife as a gift and the third belongs to my brother, who bought one right after I did. Now, the Solar Watch is the one that I prefer and use myself; more like I reserve it for those special occasions. But that doesn’t mean you can’t wear it with casual attire. What attracts me the most about this watch is the deep blue face dial that has a vintage numeral font placed at particular angles. 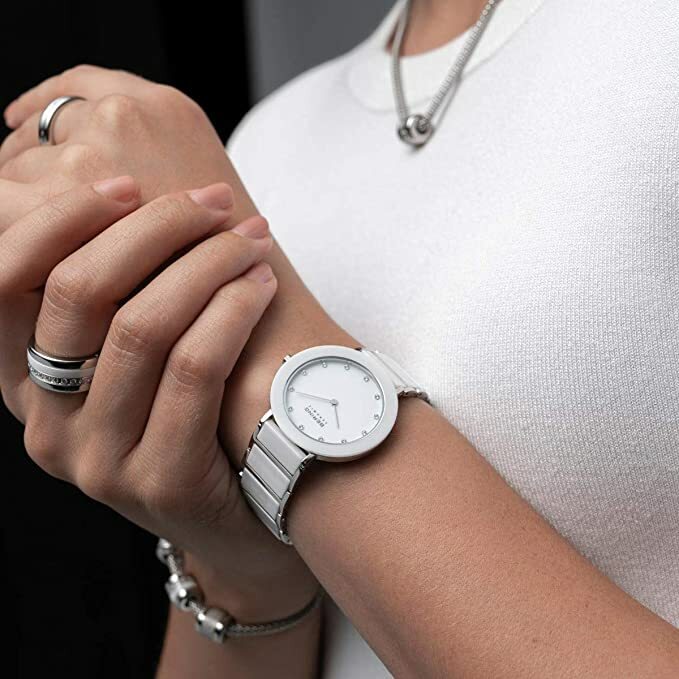 This makes the watch look rather traditional with a hint of uniqueness, which many watch models of its kind are not able to represent. The fine mesh band is another feature to look out for; it looks extremely classy and blends in with the slim 9 mm black case of the watch. It’s quite comfortable when wrapped around the wrist, and you’ll hardly feel any weight pressing down even when you have it on for hours on end. But there is a lot of sturdiness and durability behind this delicate design, making this watch perfect for everyday wear. However, the minute-hand visibility is an issue, at least for me, especially when I look at the watch from certain angles. I am not able to make out the luminescent white strip immediately, and it takes some time. 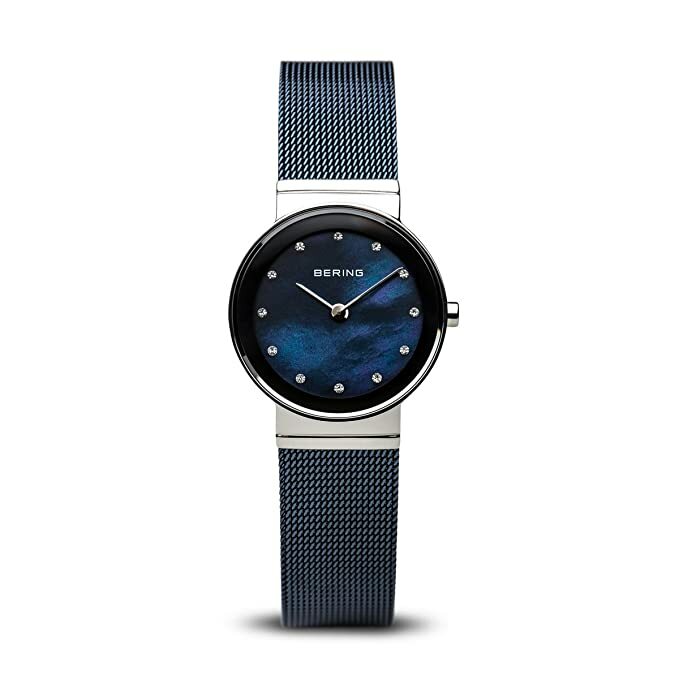 When it comes to representing a stunning mix of elegance and delicate beauty, not many watch companies will be able to do it as well as Bering does with their classic Women’s collection. It has a small yet elegant dial at 26 mm and comes with a scratch-proof Sapphire glass that looks every inch classy on any feminine wrist. The touch of modernism comes from its mesh band in which, just like in the Men’s Solar, is something that Bering likes to put in a lot of its models. It’s light around the wrists, comfortable to wear, and can practically go with any type of attire, be it professional or casual. However, the watches from this series is not as durable as you might think, and I wouldn’t recommend it for everyday use. The Bering Classic Leather is an absolute favorite of my brother’s. He loves everything that screams the 1970s and Bauhaus! 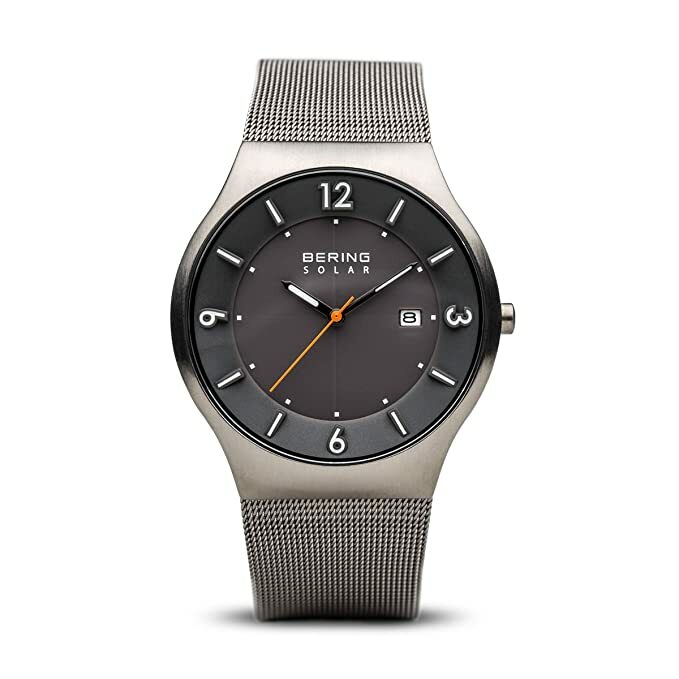 But more than being just a bit of Bauhaus in structure, it’s one of Bering’s more traditional timepieces that represent the company’s minimalist motto the best. This one, by all means, is a classic leather and gold watch which is a disarmingly simple model that creates a charming, uncomplicated look and feel about it. 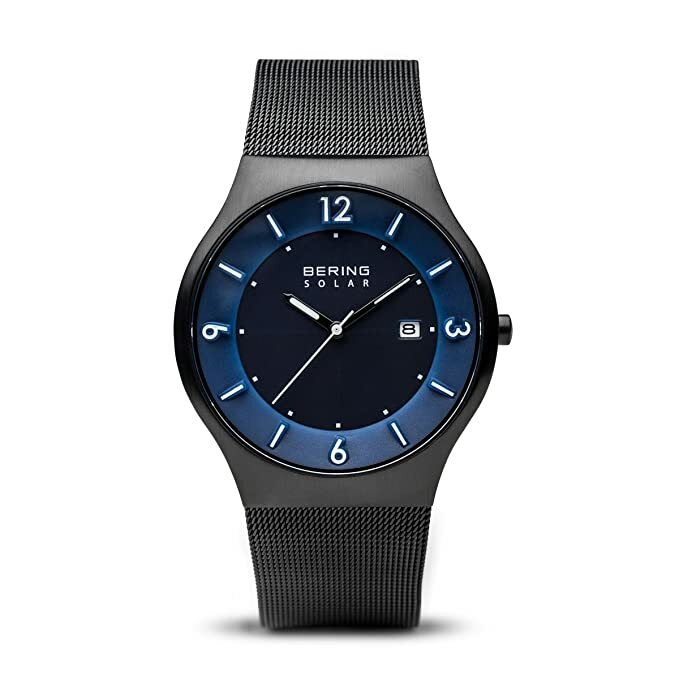 Also, it comes with a Sapphire glass and a 6 mm thin steel case that make it one of the lightest men’s watches in the Bering line-up. However, I would recommend this watch only if you have a taste for the absolutely minimalistic and simplistic. This watch could be a tad bit too bland for some, but it’s one of the top-selling ones in the regular wear category. 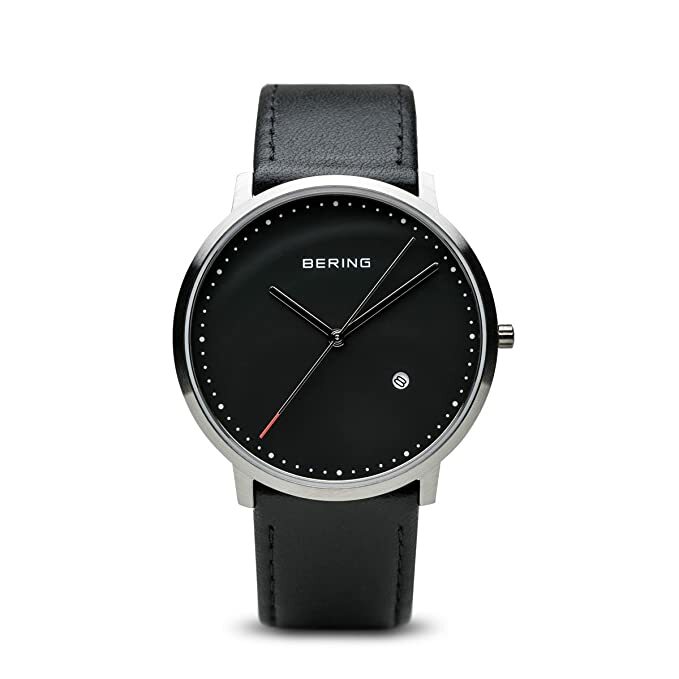 Apart from the little inconsistencies that I found in each watch series, I felt that the Bering watches could have been a bit more affordable for the average customers. Most of their designs are high-end and cost a great deal more than what their competitors are providing. Also, there could be some minor design flaws when it comes to the buckles and clasps on the model that can make the straps a bit loose over time. However, apart from a few such things here and there, the Bering brand of watches really delivers on its claims. So that was all for my review of the Bering watch brand. I hope I was able to provide you with vital information regarding the brand and the watches themselves. I’ll be back with more of such watch reviews. Till then…may the times be forever in your favor!